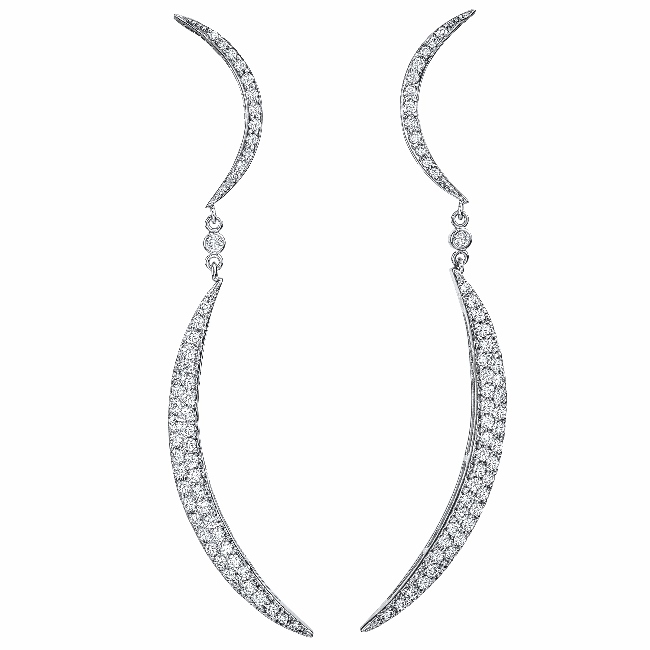 These handmade earrings feature 108 pave VS/G-H Diamonds of 1.10ct total weight. 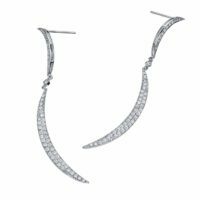 The tops of the earrings feature a hidden post and curve outward to a bezel set Diamond which connects the tops and bottoms. 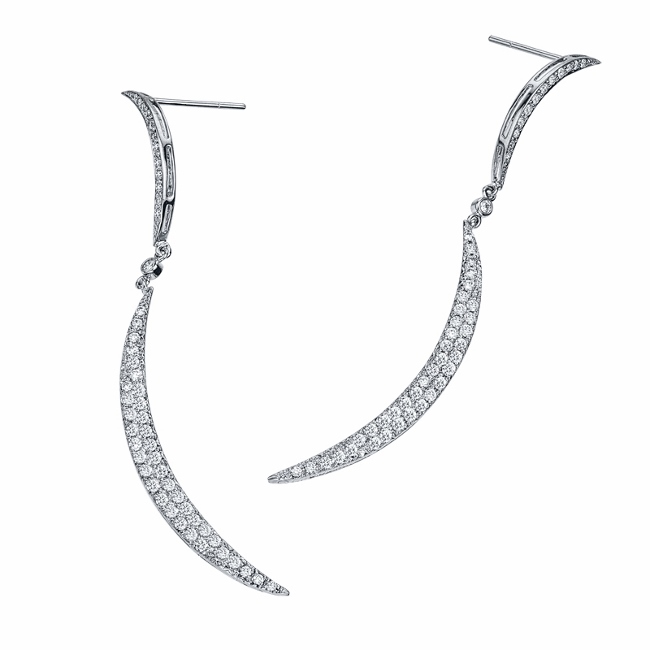 The bottom of these earrings curve inward to create a beautiful frame for any face. A Jorge Adeler signature design.